Synopsis: In this groundbreaking new biography, G. W. Bernard offers a fresh portrait of one of England’s most captivating queens. 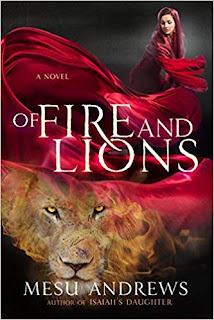 Through a wide-ranging forensic examination of sixteenth-century sources, Bernard reconsiders Boleyn’s girlhood, her experience at the French court, the nature of her relationship with Henry, and the authenticity of her evangelical sympathies. He depicts Anne Boleyn as a captivating, intelligent, and highly sexual woman whose attractions Henry resisted for years until marriage could ensure legitimacy for their offspring. He shows that it was Henry, not Anne, who developed the ideas that led to the break with Rome. And, most radically, he argues that the allegations of adultery that led to Anne’s execution in the Tower could be close to the truth. My Review: The story of Anne Boleyn’s fall has fascinated many historians and history buffs alike. Henry risked everything for Anne Boleyn, including his break from Rome that would change the course of English history. Three years after he married Anne, he executed her. The motivations for Anne’s execution has many historians speculating that it was a political coup to bring Anne down. However, Mr. Bernard argues in this biography that Anne had indeed committed adultery and that was the reason why she was executed. In Fatal Attractions, Anne plays a passive role. It was Henry who held off Anne Boleyn until his marriage to her seemed secured. I did not agree with this claim because evidence proves that Henry wanted Anne as his mistress rather than his wife. If Anne was not the one who held back, she would have been nothing more than a mistress. Mr. Bernard also claims that it was Henry and not Anne who broke with Rome. It was also Henry, not Anne, who brought about the downfall of Cardinal Wolsey. 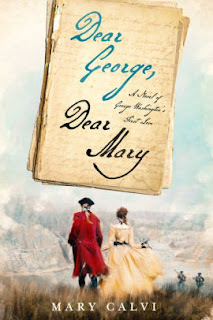 Lastly, it was Henry, not Anne, who treated Princess Mary harshly. Mr. Bernard argues that Anne was not a Protestant but a traditional Catholic. The reason is because before Anne’s death, Anne requested the host. She also wanted to know if she would go to heaven based on her good deeds and not on her faith alone. The theories that Mr. Bernard puts forth in his book are different but seem very convincing. Anne Boleyn: Fatal Attractions suddenly goes downhill when Mr. Bernard claims that Anne was guilty of adultery. As Mr. Bernard refutes the conspiracy theory that many historians have written about, I couldn’t help but feel that the conspiracy theory is much stronger than his theory of Anne committing adultery. He believes that Anne is guilty because her position as Henry’s queen seemed secure. However, Anne’s position did not seem secure to me. She was very unpopular, and it looked like the king was tiring of her. There is also no evidence that Anne was guilty of adultery. Mr. Bernard’s evidence was a French poem and reading between the lines of Anne’s jailers, as well as the testimonies of Anne’s enemies, and the forced confessions from people under torture. Many of these claims have been disproven by other historians. In the end, he even admitted that there is no evidence of her adultery, and it is his gut feeling (which he states on p. 192) that tells him Anne was indeed guilty. Thus, for him to admit that it is his gut feeling that proved that Anne had committed adultery lends no credit to the theory. The fact that he accuses all of those men including her brother for having an affair with Anne is really an injustice to those men who died. Overall, there is really nothing groundbreaking in this biography. Anne Boleyn: Fatal Attractions was interesting for about two thirds of the novel. Then, it became speculation rather than fact. The author was so carried away by his beliefs of Anne’s guilt that he did not describe her execution. The biography seemed incomplete and that the real reason he wrote this was to make Anne Boleyn fans angry. This is made clear when most of his Epilogue is spent on attacking Anne Boleyn fan websites. 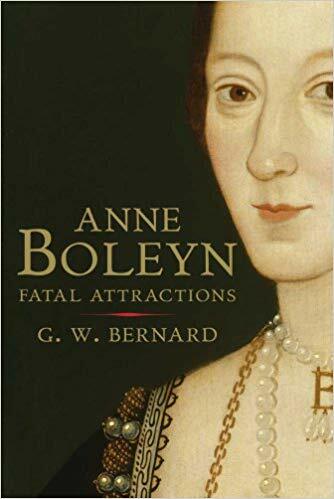 Anne Boleyn: Fatal Attractions is an interesting biography for those who want to see a different side of Anne Boleyn. However, for those who want a serious study on Anne Boleyn this is not the book for you. There are better works out there that give us a better understanding of Anne.